Hossegor Surf report May 18 2018 is looking like good fun. 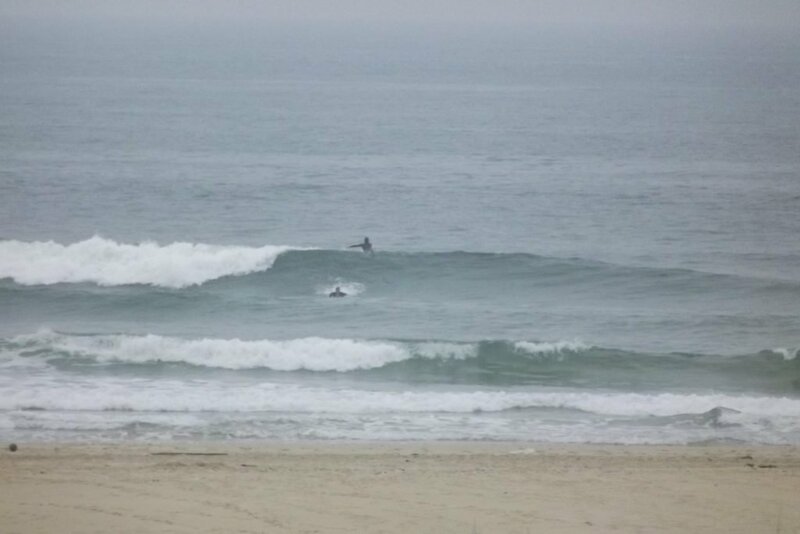 Its small , about 2 foot , but no wind and grey skies. Nothing too serious but great for learners or just staying fit. If this is the kind of wave that you were thinking about learning on then check our our group lessons here. This is the perfect kind of day for a guide. There are a bunch of ok(ish) waves around , but there are a few hidden sand banks that are producing some real quality waves. If you are thinking about a day or so of guiding you can check all the details here. We have our finger on the pulse of everything to do with surfing here. Check out all of our services , including how to become a surf coach.